Happy almost-end-of-March, my friends! Can you believe we’re here already…and can you believe it’s (supposedly) spring?! I know I can’t. It hasn’t really felt like spring here yet at Fort Drum. We’ve yet to see 40 degrees, and the days have still been downright bitter cold. I’m ready for warmth though, so let’s bring on April, right? 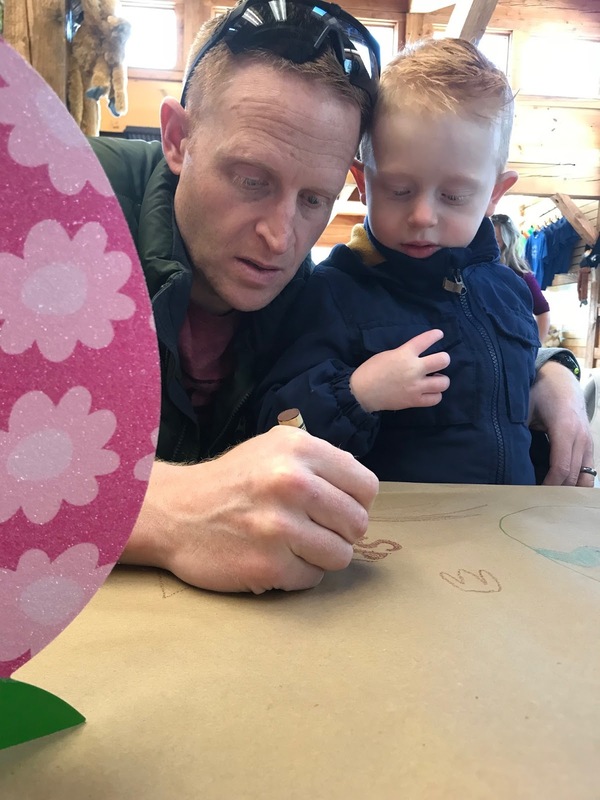 This past weekend, I finally felt mobile enough post knee surgery to get out for a little bit, so we decided to get tickets for Breakfast with the Bunny at Thompson Park Zoo. I’ve mentioned a few of our visits there before, but this was the first time we visited one of their holiday functions. I knew I’d be pushing it since I’m still on crutches, but I’ve been eager to get out, and I’ve told Ryan how much more fun life is when we get out and do stuff – and he agrees! So, off we went. We originally bought tickets for their 8:30 AM breakfast, and I was dreading it, so when they opened up another time at 11:30 AM, we jumped to switch our tickets. The event was simple and fun. 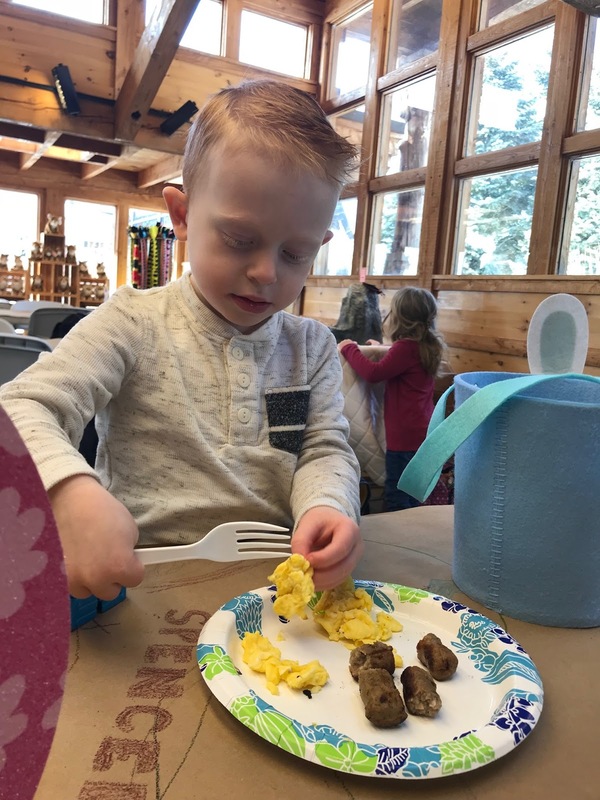 The zoo’s resident Harlequin rabbit played the role of the Easter Bunny this year, and they had a buffet breakfast of eggs, sausage, pancakes, and berries. The boys loved it, and Ryan and I nibbled a bit, too. I loved that it was kind of a pick-your-own-adventure kind of buffet. 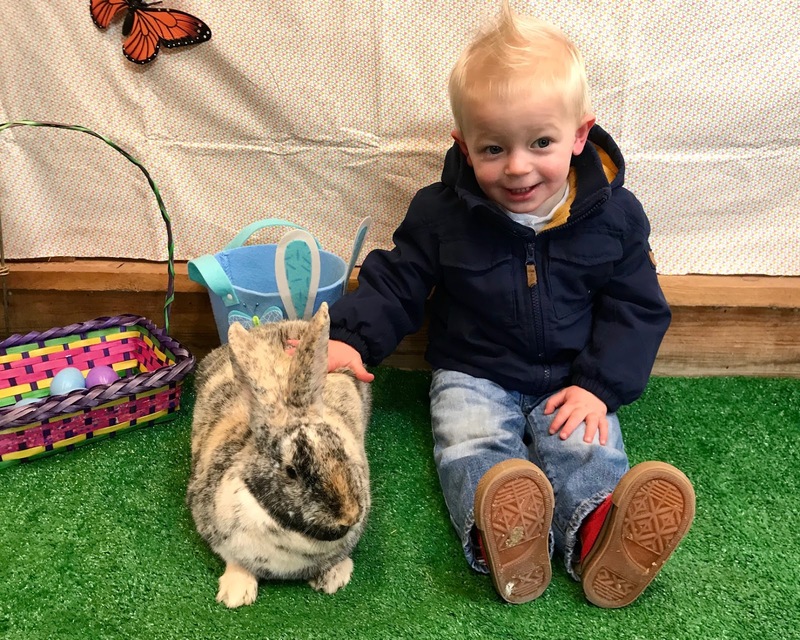 They didn’t set a really strict schedule, and they allowed families and kids to see the bunny and eat at their leisure. 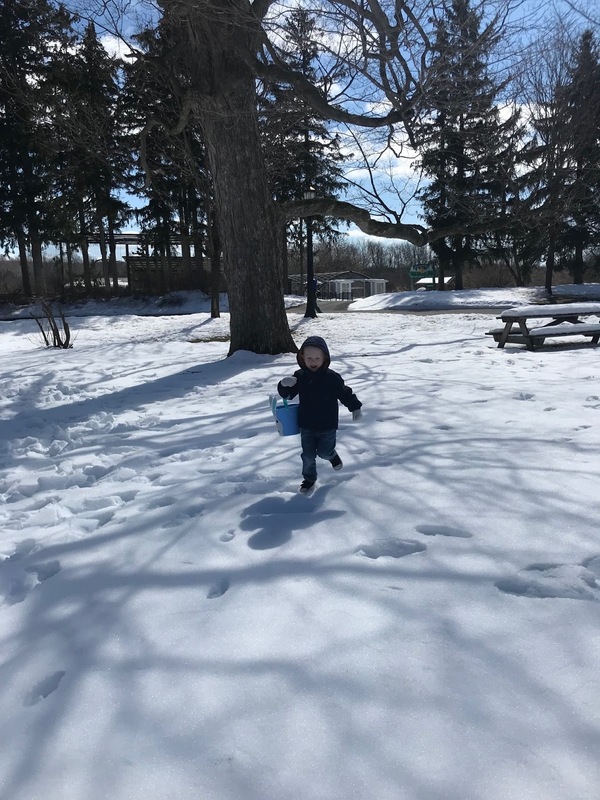 The Easter egg hunt started just before noon, and I really wish there’d been less snow for this part! 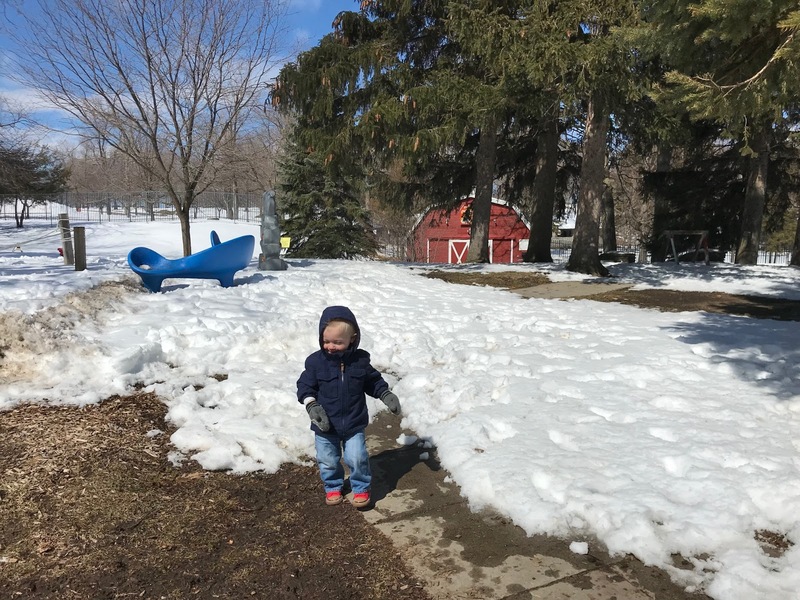 They scattered about 100 eggs around the playground and open field area, but both were still covered under a thick blanket of fairly icy snow. Luckily, the eggs just sat on top and didn’t stick, but I had one heck of a time following my boys on crutches through the snow. Both Spencer and Porter had a blast! Porter was pretty clueless, and Spencer cared less about the actual eggs and more about what was inside them. Smart boy – they had candy and prizes, and the boys made out like bandits! 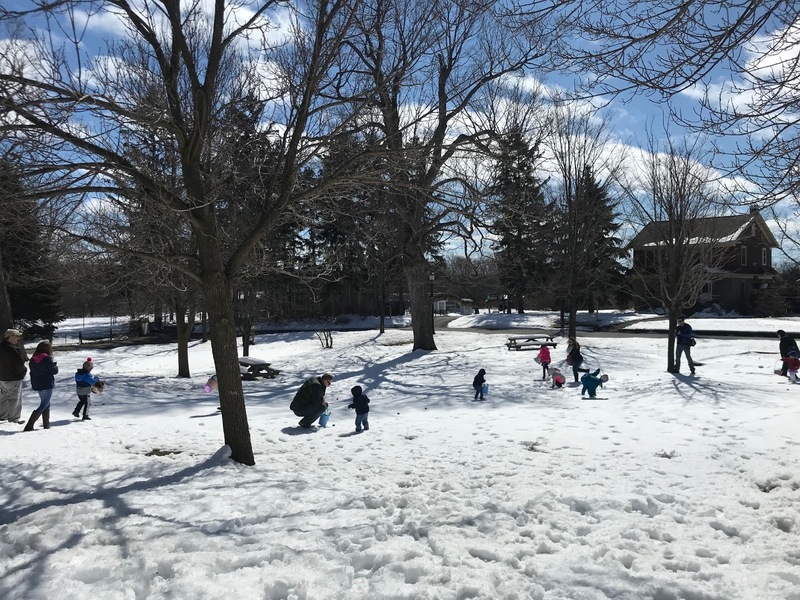 I’ve mentioned a few times that there aren’t a ton of things to do around Fort Drum, but the activities definitely pick up as the temperatures do. That means that spring and summer are eventful and fun, and I’m glad we’ll be able to enjoy the prettier side of the season here before we move to Washington. 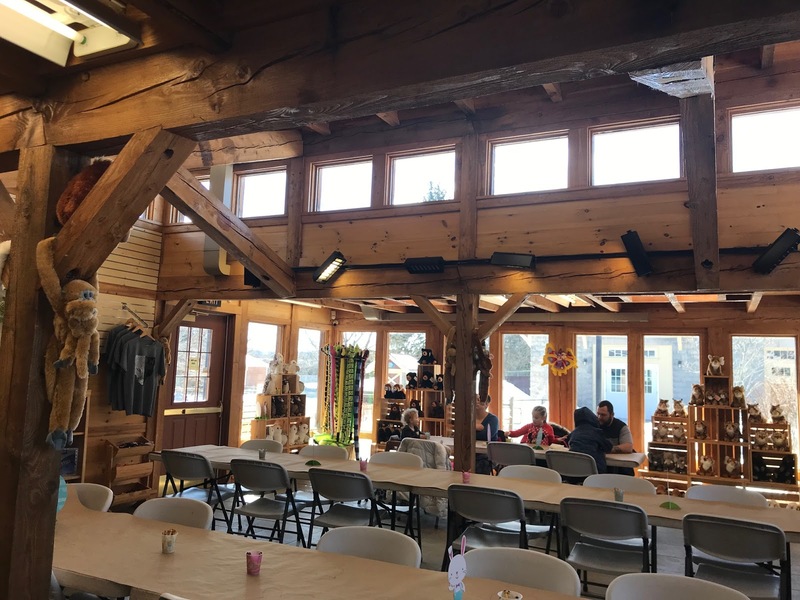 For those who are in the area, Thompson Park Zoo routinely has events like these for the holidays, and their annual zoo membership is $60 – all of which goes directly to the indigenous animals it houses. This event wasn’t too pricey. Tickets for adults were $18, and the boys were free. All the money went to hosting the event, so I felt good about it – plus it raises awareness for the zoo, which is a staple in the community. 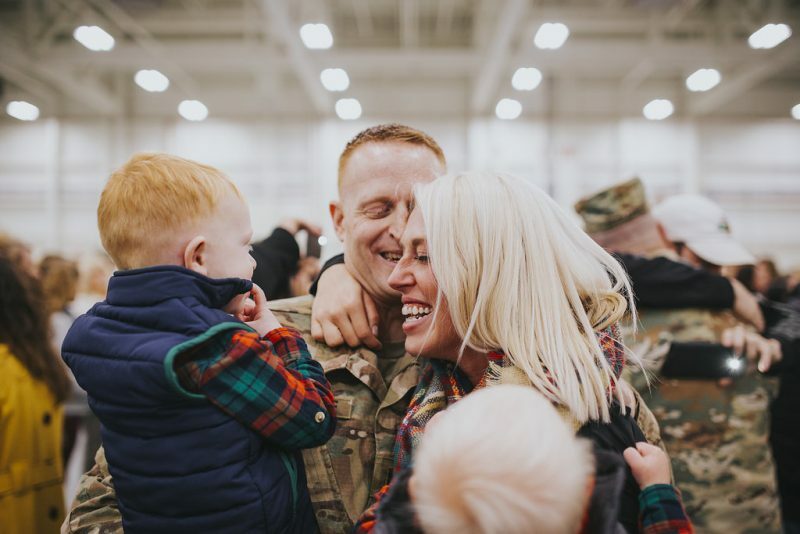 If you’re stationed at Fort Drum, this one of the best things to do with your kiddos!